1Rad-Reader Reviews: Welcome Jen Doyle Author of: CALLING IT! 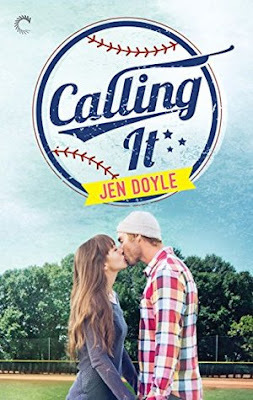 Welcome Jen Doyle Author of: CALLING IT! Before I start answering questions, I wanted to say thank you SOOO MUCH for having me. I am so happy that you liked the book and it is truly an honor to be here. Jen: I don’t remember specifically how this storyline came about, although I have a distinct memory of the vision of Nate leaving Chicago on that first night. The first scenes that came to me were actually ones that never made it into the book—it was Nate and Ella (his oldest sister) pulling up to a charity event in Chicago and then running into Ox and Courtney as they all arrived at the same time. You’d think that would be a good scene but, well, it wasn’t. Not at all, LOL. Rad-Reader: Do you come from a big family and or a sports family? Rad-Reader: Most authors have the guy as the one who is shake about the relationship and wanting to be the runner and not committing. Yet, you have a woman, why? Was it her goals or a matter of the heart? Jen: The main thing for Dorie is that she’s all of three weeks into her escape from her brothers. She has her dream job, is on her own for the first time in her entire life, and has absolutely no interest in a relationship of any kind. And then here comes this superstar baseball player. Since he’s been her celebrity crush for pretty much her entire life, she’s well aware that he’s spent years playing the field, so to speak. Different women in every ballpark, every night, a trend that is interrupted only when he becomes engaged to Courtney, who he has spent the previous two years with and is now only six weeks out of that relationship after a highly public—and quite traumatic—breakup. At no time does Dorie believe he truly is ready to commit to her no matter what he says. She’s also someone who, yes, has had her share of male companionship, but who has never truly committed to anyone. Pretty much because she knows that when she does give her heart, she’s giving it for life. She’s not about to hand it over to Nate Hawkins, no matter how tempting it is. The fact that it *is* so tempting, makes her even more against it. So I don’t think of it as her running—I actually think it’s kind of the opposite: she’s digging her heels in and standing her ground. Rad-Reader: Did Wash (by the way why Wash as a name is it short for Washington?) Hahaha! Anyway, Did Wash and her go out? Or did Wash like her because at the beginning in the library she was afraid to have them both there together and Fitz is even teasing? Jen: I think this is my favorite question—I LOVE that you’re asking about Wash! :) So, first, yes. It’s Washington Harrison Fairfield, to be precise, LOL. It’s not just that Wash misses his friend, though, it’s that he’s truly worried about what’s been happening to Nate over the past two years. Once he realizes Dorie is someone Nate is truly interested in, Wash will do everything he can to support it. At the same time, he’s trying to protect Nate—but mostly from himself. He truly does care about Dorie, though, so he also worries about how this will all play out for her and how she’s handling it. Rad-Reader: Peter had sent that contract for her to sign she said, “NO!” Then he just kept eyeing her the rest of the book as if he wasn’t sure they bantered a little but is was sly but what was up with him? Was he really won over or just being nice for Nate or what? Rad-Reader: Was Wash jealous of Nate because at times it seemed that way? Jen: Oh, dear! No. Definitely not. Wash had a taste of the superstar life and pretty much hated it. He chose to come back to Inspiration and be with his friends—be able to live life on his own terms. It’s almost because of his own pro ball experience, though, that he knows how dangerously close Nate is to losing himself entirely. He’s worried about the path Nate has been on and wants more than anything for Nate to find his way back home (literally and figuratively). Rad-Reader: Will we get more about the rest of the team as well as her brothers? Rad-Reader: Shay seemed to be the most laid back of all the brothers and Sean the hottest headed. Did I read that correctly? Jen: Yep, pretty much, LOL! Shay is definitely the most laid back of the brothers, and Sean is for sure the opposite of that. (Although Tommy might be a little bit more hotheaded, come to think of it.) Sean takes his oldest brother responsibilities very seriously, though, and he’s not about to let some big ballplayer run roughshod over his baby sister. Rad-Reader: Is there going to be a follow up on Nate and Dorie since there was no epilogue? Jen: I love your casting! 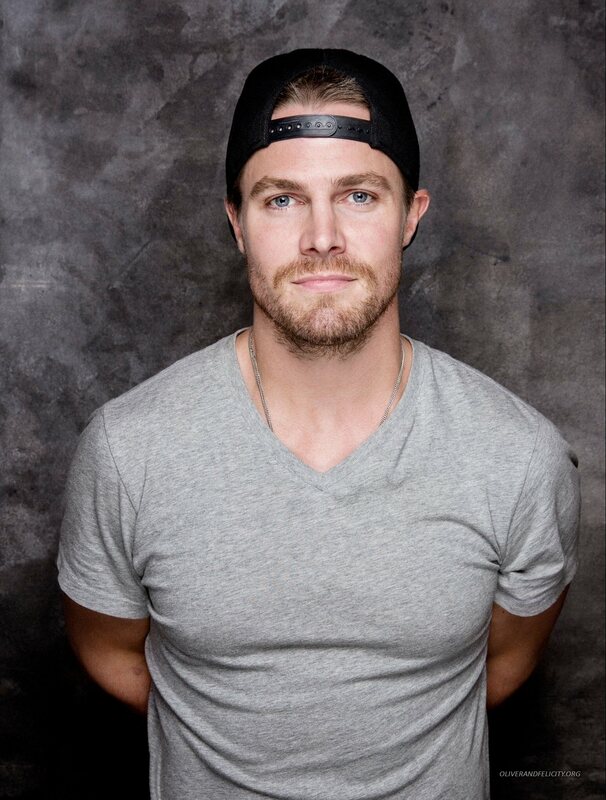 I actually have Stephen Amell in mind for another storyline, although he’s the ex-husband rather than the hero for one of my heroines. [Christopher’s book, for those who really want to know. :) ] And Blake Lively was one of my early on inspirations for Courtney, although I finally ended up settling on Charlize Theron (who, incidentally, I just pinned on my Calling It board, see link below—thank you for that!). 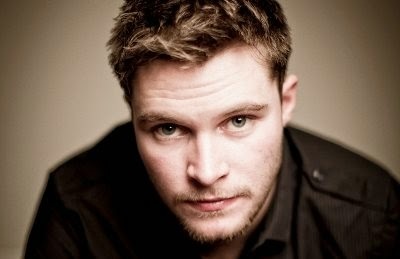 Rad-Reader: Loved him in his role too in Necessary Roughness also good call on him here too. Rad-Reader: Loved him in that role by the way and loved that show in general. Rad-Reader: What song out now best describes your book? Except that’s really not a happy song (and don’t even start with the video, LOL). But the words from the chorus just keep coming back to me, and it feels like it’s what Nate is thinking about Dorie all along: “…You be you and I’ll be me.” I just love that song so much! Rad-Reader: When did you know writing was what you wanted to do? Jen: Not for a really long time, LOL. I’ve been writing for about 15 years now, but for a lot of that time I just considered it a hobby. It wasn’t until about five years ago that I realized this might be something I could truly do. Rad-Reader: How long did it take you to get your first book published? Several years ago, I brought a *completely* unmarketable project to the NJ RWA conference—not realizing how truly not right it was until, oh, about 10 minutes before the pitch session. :) It ended up being an incredible learning experience, however, and it was on the way home from that very conference that those first scenes with Nate appeared in my head. I had a full draft of the book within four months and started submitting it to contests and agents. It took a full year of writing and revising before I came back to the next NJ RWA conference with a draft that I pitched—and eventually ended up signing with my agent. We went out on submission the following April, and I officially signed with Carina five months later (this past September). Jen: All over! The best place to connect with me is on Facebook because I’m there a lot. But I’m also on Twitter and Pinterest, and I would love for people to visit my website and sign up for my newsletter. Oh, and follow me on Amazon! And Goodreads, too! Knew I liked you instantly for a reason. 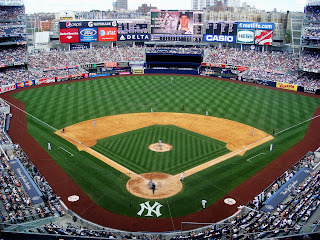 We are a Yankee household too. Well, can't say I am as faithful as my hubby but I try. Football is Green Bay Packers and if you think I am kidding we will have to talk about our cross-country trip up to New York to see a game (I left before the first pitch to damn hot. Was just the beginnings of really getting sick with my thyroid.) Then we went up to Green Bay and then back home to California. Three weeks of the most family fun ever. Recommend to anyone. Stayed in hotels along the way, met family in New York for a week, and a friend in Green Bay for several days. Anyway, THANK YOU so much for being with us. You were a pleasure to work with and talk with along the way. Your book was a pleasure to read and the fact that you had fun answering my FANGIRL questions warmed my heart. So thanks for sharing that with me. Come back anytime and sorry to say you too did not run fast enough so you are now a 1 Rad-Reader Misfit. I had a blast with this interview what a pleasure to work with you Jen Thanks!